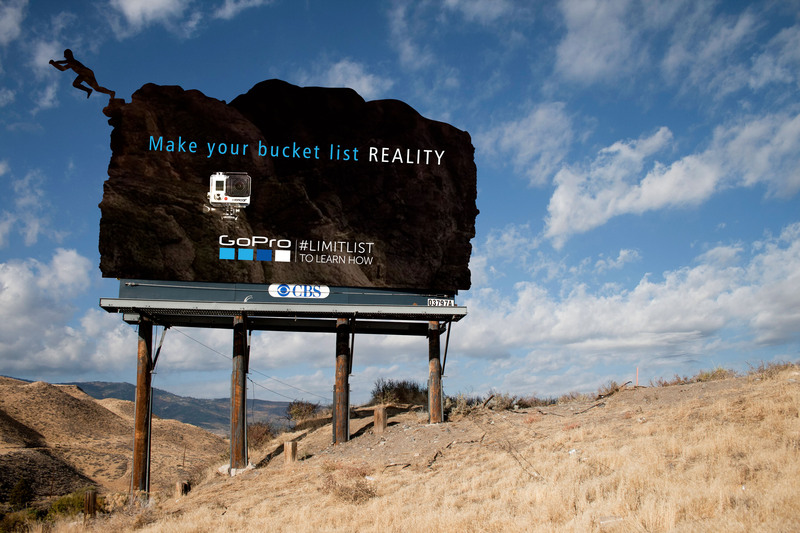 Limitlist is a campaign encouraging the average person to get out of their comfort zone and push their bounds to the extreme. 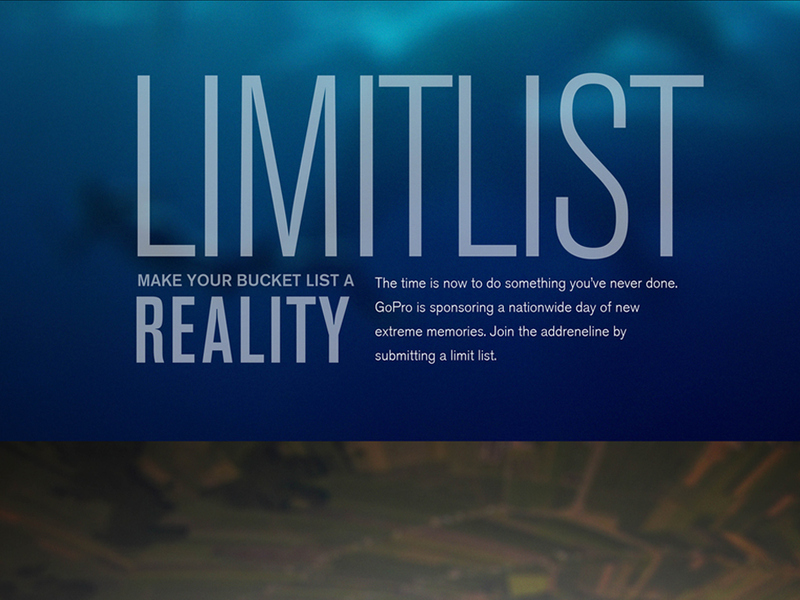 Limitlist allows the user to participate in something they've only talked about but never done. 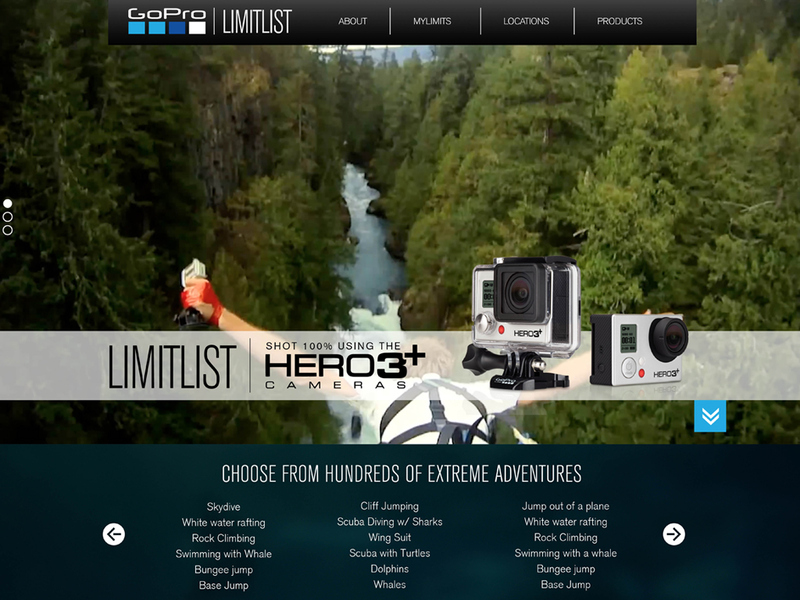 Their footage will be shot on the Hero3 and be available on the Limitless Youtube Channel as-well as the Microsite. They will then be able to share their experience with friends throughout a variety of social media platforms. Give the extreme sports enthusiast a camera that doesn't inhibit their movements during activities and allows them to capture amazing up-close-and-personal HD footage. Men and Woman who live an active lifestyle and loves the excitement of trying something new. 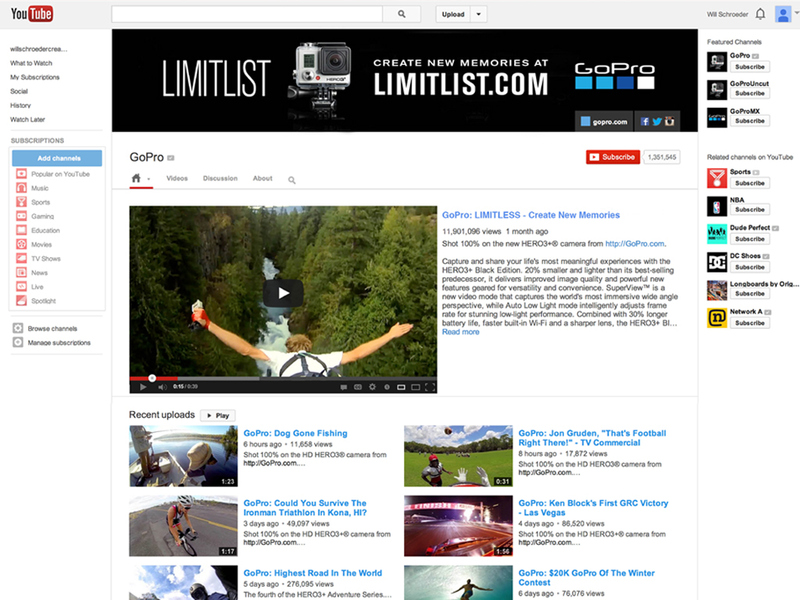 GoPro being the main camera associated with capturing life's amazing new memories. 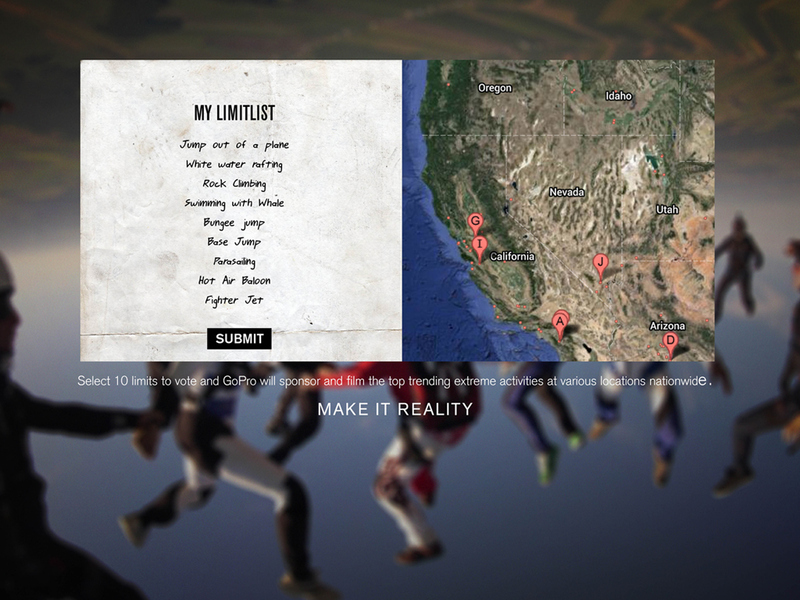 GoPro makes you want to push your limits. 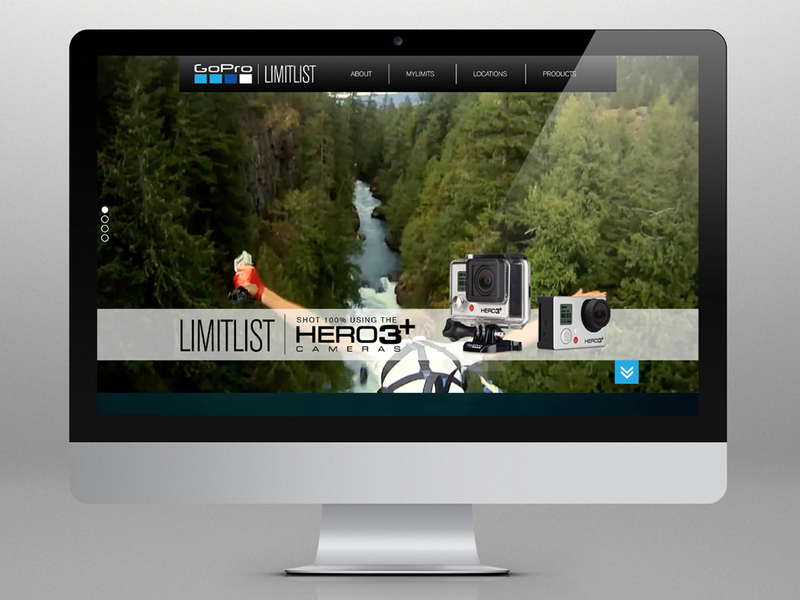 GoPro makes you want to push your limits and catch new amazing footage that you can share with your friends.